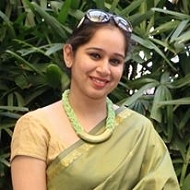 Ms. Dilpreet Kaur has been associated with Jagan Institute of Management Studies for the past 7 years now. She is a post graduate from the University of Delhi in commerce and is UGC NET qualified. Her specialization lies in managerial economics and macro economics management and is pursuing research in the field of financial literacy and financial inclusion.